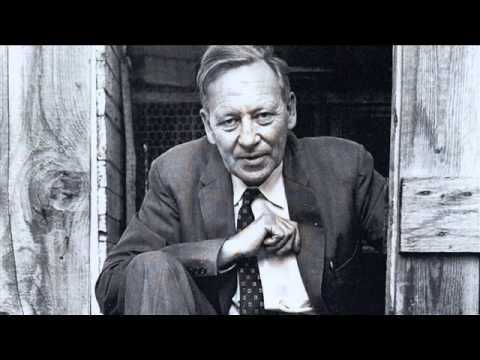 Gregory Bateson was a thinker beyond disciplines, contributing not only to specific disciplines ranging from Communication to Family Therapy to Ecology, but also helping us to think about the nature of inquiry, thought and disciplinary organization. In this paper I argue Bateson was a transdisciplinary thinker, and illustrate how his work can lead us to a new approach to inquiry. I conclude by outlining the 5 central features of transdisciplinarity: inquiry-driven rather than exclusively discipline-driven; meta-paradigmatic rather than intra-paradigmatic; informed by thinking that is complex, creative, contextualizing, and connective; inquiry as a creative process combining rigor and imagination. When I tell people that several of Gregory Bateson’s works are being re-issued in the book series I started at Hampton Press, I inevitably get some puzzled looks. The puzzlement is principally because Gregory Bateson just does not seem like the kind of author who would or should ever be out of print. But the puzzlement is also almost inevitably followed by an attempt to situate Bateson. This is usually along the lines of “Bateson, the anthropologist/psychiatrist/family therapist/cyberneticist/dolphin guy, right?” Fair enough. Where did Bateson belong? It’s not an easy question to answer. The Jack of an apparent intellectual home for Bateson is not unconnected to the fact that he was temporarily out of print. First of all, what category would one put a Bateson book in? Anthropology? Science? Philosophy? New Age? (In the United States, Mind and Nature was in fact published in the Bantam New Age imprint.) What discipline supports Bateson? Who reads his work? What research agenda was he associated with? Psychology? Family therapy? Evolutionary theory? Organizational learning? Communication? His work has certainly been influential in all of those areas. Browsing through the Table of Contents of Steps to an Ecology of Mind (Bateson, 2000), we find essays devoted to the double bind theory of schizophrenia, evolution, communication (including the cetacean variety), national character, epistemology, learning, ecology, education,• cultural anthropology. Why would such a book, with essays on such widely disparate subjects, appeal to anyone? What is, dare I ask, the pattern that connects these topics? Despite the heterogeneity and difficulty of his writings, Bateson’s work has been widely influential and continues to be cited in many different disciplines. In Europe, particularly in Mediterranean countries, where one can still be considered “a thinker” without having to declare a disciplinary affiliation, there is a small but impressive series of books about Bateson’s oeuvre. In fact, in Italy, where books and conferences on Bateson abound, Steps to an Ecology of Mind is even available as an audio-book. one can only guess at the effect on the human nervous system of listening to Bateson’s words while negotiating Italian traffic. In this essay I want to explore some of Bateson’s key insights into inquiry, and use them to sketch out the outline of an approach to transdisciplinary inquiry, drawing from principles outlined in Bateson’s work and drawing from Edgar Morin’s explicit efforts to “reform thought” and develop the philosophical foundations of a transdisciplinary perspective. Transdisciplinary inquiry is not merely the additive use of knowledge from several disciplines to confront a problem, which is how I characterize interdisciplinary efforts. As I outline it here, transdisciplinarity is an attitude towards inquiry, informed by certain epistemological presuppositions, and an effort to frame inquiry as a creative process that recognizes as central the subjectivity of the inquirer and challenges the underlying organization of knowledge. The Batesonian predicament of intellectual homelessness is very familiar to me. From management to psychology to sociology to international relations to evolutionary theory, all the disciplines I have been loosely affiliated with are fascinating to me. It took me a while to realize that I was ultimately not particularly wedded to a specific discipline, and that ultimately there was nothing wrong with that. I have always been fascinated by certain topics, like creativity, or the relationship between culture and identity, or the role of uncertainty and ambiguity in human affairs. But in the case of all my interests, I felt they could not be contained by a particular discipline, even as those individual disciplines and sub-disciplines shed light on my subject in different ways. During the late 70s and early 80s, while I was pretending to go to high school and college, I spent several years working as a professional musician, leading my own band in London. When I later carne across the voluminous research on creativity, I realized there was very little research on creativity in musical groups, or any kind of groups, for that matter (Montuori & Purser, 1995). The dominant literature on creativity was in the field of psychology, with a smattering in other disciplines such as philosophy and sociology. Psychological research on creativity focused almost entirely on the individual, not the group, or the relationship between creativity and interaction. And while playing in a band required individual creativity, a huge interactive portion of the process was being left out of the discussion. The research simply did not reflect the full extent of the experience of performing musicians. My inquiry was therefore not defined by the discipline of psychology’s research agenda into creativity, but by my own interest, by my own experience of the creative process in the context of a musical group, and by the apparent lack I found in the literature. This lack eventually forced me to cross over into several disciplines to draw together what little we know about creativity and collaboration (Montuori & Purser, 1999). It was apparent that social and/or group creativity existed in a kind of no-man’s land, between psychology, sociology, and anthropology, and that one key reason why it had not been addressed was that it simply did not fit into any particular discipline’s research agenda. Creativity “belonged” to psychology. Groups and social factors belonged more to social psychology (a branch of psychology that did not address creativity, which had historically been considered to be more in the personality/ cognitive domain). Management, with its pragmatic orientation, straddled the fence, with some interesting research on Research and Development groups, but little sustained research. At the same time, I did become intimately familiar with what was, and remains, the dominant literature on creativity, more specifically the psychology of creativity. It also became apparent that the fundamental way of thinking about issues in much of social science was governed by the twin principles of reduction and disjunction, isolating variables and separating them from their environment. Reduction and disjunction were two key organizing principles shaping much of psychology’s choice to focus on the individual, at the expense of “societal factors,” for instance. Creativity was reduced to the discipline’s fundamental unit of analysis, and anything outside of that unit of analysis was considered epiphenomenal. My early interest in systems thinking was triggered by its focus on context and relationship, so lacking in much of the work I was seeing in academia, and indeed in most of what we called “thinking,” whether about family or politics, sports or entertainment. In the case of creativity, the focus on the individual’s creative process decontextualized creativity by isolating that process from anything happening outside the individual, from the larger process that is involved in making an idea into a product, whether a painting or a new widget. This almost inevitably involves social interactions, dialogue, debate, economics, and so on. The creative process was also decontextualized because there were no connections made to perspectives and approaches from other disciplines —the study of creativity was, in other words, decontextualized from the larger network of knowledge generated in other disciplines. When Ron Purser and I put together the first volume of our Social Creativity series (Montuori & Purser, 1999), we brought together psychologists, systems theorists, anthropologists, philosophers, and others, and asked them to explore the phenomenon of social creativity, or the social dimensions of the creative process. They all approached creativity from radically different perspectives, drawing on disparate literatures, with little or no overlap in sources. The result was fascinating because it showed a plurality of different paradigms and models with which to approach the social dimensions of creativity, and how those different approaches shed light on different aspects of the creative process. It also showed that the mainstream view in psychology, namely that the social is ultimately epiphenomenal in the creative process, closely parallels the “folk” understanding of creativity, with its focus on the “Ione genius” (Montuori & Purser, 1995). There are some extremely deep philosophical assumptions underlying the dominant cultural views on creativity in the US, closely paralleling psychology’s position that the individual could somehow be isolated from the social (Montuori & Purser, 1999). Can one really say that the social world is epiphenomenal, as some psychologists have argued? That creativity happens “inside” an individual, and that social factors do not really play a role? Ali sorts of questions arise—not least of which is how can a painter or musician or scientists participate in a domain—actually even be a painter, scientist, musician— without a social world that provides a context, that provides the raw materials, the questions, the role models, the disciplines, the instruments, the approaches, the traditions to follow and defy, and so on? Assuming for a moment that this methodological individualism is indeed a legitimate philosophical position, whether one agrees with it or not is almost less problematic than the fact that in psychology’s discourse of creativity those assumptions are almost always taken for granted. Indeed, when questioned, one leading psychologist I spoke to replied “I don’t do metaphysics.” This is all good and well, but of course the dismissal of (implicitly “fluffy”) metaphysics in favor of a “hard” scientific posture seeks to obscure the fact that there’s no escaping metaphysics, since we all have underlying principles and theories that in-form, that shape and guide our work. The more interesting question is the extent to which we are aware of them. But in a certain attitude towards science and inquiry, these metaphysical assumptions are not taken as assumptions, but as “the way things are.” There is little or no awareness of their enormous implications, or of the nature of other approaches with perhaps contradictory assumptions. The underlying paradigm, if you will, is buried and invisible. Let me step back now and attempt to articulate what I believe connects my own experience with Bateson’s work. First of all, of course, there is the problem of disciplinary fragmentation. As human beings have developed more and more knowledge, there has been a concomitant division of labor. Disciplinary fragmentation is the result of increasing specialization. This is fundamentally an issue of organization. Industrial organization used division of labor and specialization, to increase, articulate, and facilitate production, and the production of knowledge has, for all intents and purposes, followed the same organizational model. The early philosophers ranged far and wide, covering fields from biology to ethics, from politics to physics. With increasing production of knowledge, facilitated by the printing press, communication, a greater educated class, and increasing cultural exchanges, it became progressively harder to know everything under the sun. If individuals could not keep abreast of all knowledge, they could specialize in one or more areas. The broad category of philosophy was slowly broken down, and new fields emerged, and eventually becoming disciplines with their own university departments. These departments differentiated and ultimately separated one field from the next, and were also subject to internal differentiation and separation. In psychology one might have experimental, clinical, social, personality, cognitive, and so on. Eventually, the likelihood of members of there sub-disciplines talking to each other became more and more remote, and indeed it became likely that their relationship would be oppositional at best. There was a form of evolutionary drift, whereby even the sub-disciplines increasingly became their own worlds, with fundamental assumptions radically differing, and a tendency, as Bruce Wilshire (1990) has so carefully described, to create strong borders and safeguard the (sub-) disciplinary “purity” against the “pollution” of perspectives from other disciplines. The errors of thought, of which decontextualization is a central one, have become institutionalized in our North-American organization of knowledge. It is perhaps easier to recognize these errors of thought when they reveal themselves in physical structures, in the architecture and organization of the university. They are generally harder to find as phenomena that pertain to the very way we think— because that requires thinking about thinking, a process that seems not to come naturally. There is no science linking what has been increasingly fragmented. We notice this most particularly when exploring the application of knowledge. Knowledge in context. I am presently working on a textbook on creativity and innovation in organizations. Most of the work on creativity has focused on the individual level, largely addressing how to think creatively. But if we looked at the reality of creativity and innovation from idea to product, the experience of being an individual with a bright idea in an organization, we see that having an idea is simply not enough. We must also be able to work with others, to influence others, to assess the viability of our idea, know our market, and so on. Anybody who has worked in an organization realizes the gap between having a great idea and seeing that idea enacted in the organization. In other words, the reality of bringing a new idea into the world in an organizational context goes far beyond the generation of an idea, a process studied by psychologists. The different fragments of knowledge about creativity and the creative process lie scattered across sub-disciplines, often with little awareness of each other, and the practitioner is expected to somehow integrate this knowledge, in the miraculous event that he should somehow find it, buried as most of it is in esoteric journals. The task of integration into the lived experience of the practitioner is hardly ever seriously addressed. Simplicity may be honored, but at the expense of complexity—not some esoteric theoretical complexity, but the complexity that arises out of the lived experience of actually trying to get something done in an organization, for instance. Context and connection are missing. It is so much easier, in a way, to point the reader to some of the literature on the psychology of creativity, preferably some creativity “tools” like lateral thinking, and let the individual sink or swim with this “technology” in hand, than to explore the real complexities of what Frank Barron (1995), the noted creativity researcher and colleague of Bateson’s at Santa Cruz, called the ecology of creativity. To address the creativity of an individual and an organization, the “tools” approach is profoundly decontextualized— here’s your hammer, start banging away, you’re bound to hit something. An alternative, contextual, ecological approach is what I believe can be aimed for with a transdisciplinary approach. Such an approach recognizes the lived experience and subjectivity of the inquirer, the person reading the book who then hopes to put some of this material into practice. The lived experience occurs in a context, in a network of relationships, in an ecology. One way of addressing the complexity required of such an approach, is through the development of a transdisciplinary approach. inquiry as a creative process that combines rigor and imagination(1) Transdisciplinarity is “inquiry-driven.” Disciplinary inquiry is generally “discipline-driven.” By discipline-driven I mean that traditionally one is socialized into a specific discipline that focuses on a specific set of issues, a disciplinary agenda, and the disciplinary “boundaries” that establish what topics belong, and do not belong, and even what questions may and may not be asked in the research agenda. In a university context, during the socialization of most academics, this agenda can sometimes more specifically be one’s advisor’s research agenda. Transdisciplinary inquiry is driven by the inquirer’s agenda, by a question that emerges through a dialogue between the inquirer’s experience and passion, the subject of inquiry, and the bodies of knowledge available. Inquiry-driven does not mean eschewing the contribution of disciplinary knowledge. On the contrary, it engages disciplinary knowledge and adds to it pertinent knowledge from a plurality of other disciplines, through the development of a plurality of perspectives on the same topic, and through a constant interaction with the inquirer’s context and his or her own lived experience, values, and beliefs. (2) If we are to bring a plurality of perspectives from a variety of disciplinary perspectives to bear on our topic, how do we organize and think about this knowledge? The traditional approach to inquiry has, as we saw, been reductive and disjunctive, with ever increasing separation and differentiation, but with little or no effort to connect and contextualize. Interdisciplinarity typically joins two previously separated disciplines to address a problem, but rarely questions disciplinary organization. The process is additive. So along with the question of how do we organize knowledge, we also have to ask, what are the principles behind that organization, and what are the underlying principles in the various disciplines that are being brought together? Interdisciplinarity does not address these fundamental issues. It generally accepts the present system of disciplines, and the fundamental principles of know I edge-organization. When we draw on different disciplines, these disciplines, sub-disciplines and approaches often reflect very different paradigmatic assumptions. In disciplinary approaches, the underlying assumptions remain fundamentally unquestioned, and the same is true for interdisciplinary approaches. Transdisciplinarity should, I believe, be a meta-paradigmatic approach. By this I mean that transdisciplinary inquirers should be able to understand not only the content of various disciplinary approaches to issues, but their underlying assumptions or paradigms, and how those paradigms shape the inquiry. This process would also, of course, put into question the inquirer’s own paradigmatic assumptions, and offer an opportunity to question and explore one’s own assumptions. It is in the exchange with different perspectives that our own perspectives become most clearly elucidated and articulated. As we become aware of the underlying assumptions of various perspectives on the same issue—as in the case of creativity—we can see that there is a pattern of oppositional identity that connects them. Psychologists studying creativity have largely been ontological atomists, and sociologists and anthropologists ontological holists. Tracing the history of these positions we can see how they have arisen and how the positions have identified themselves in opposition to each other (Fay, 1979). Indeed, once we begin to study the underlying philosophical assumptions of most forms of academic inquiry, we can begin to recognize this process of oppositional identity formation in any number of different areas, from idealism/realism in political theory to objectivism/constructivism in epistemology to atomism/holism in ontology. Striking parallels exist in the findings of psychologists studying higher forms of cognitive development (so-called post-formal thought), research findings on creative thought, and the work of systems thinkers, particularly Edgar Morin’s articulation of “complex thought” (Montuori, Combs, & Richards, 2003). One of the originai dreams of systems approaches was to develop a framework to integrate all the sciences, of course. With the second-order cybernetics of Von Foerster (Morin, 1992) and the “epistemological turn” of which Bateson was one of the key figures, the focus shifted from observed systems to observing systems, and a recognition of the importance of the observer and the nature of thinking. In Mind and Nature, Bateson articulates some essential premises “if the schoolboy is ever to learn to think” (Bateson, 2002, p. 19), and this challenge of learning to think contextually and creatively, lies at the heart of transdisciplinary work, I believe. Today, the work of Edgar Morin (Morin, 2005) is perhaps the most original and profound articulation of such a new way of thinking, which he calls “complex thought.”(4) Disciplinary and Interdisciplinary inquiry generally leave the inquirer’s subjectivity out of the inquiry process, and indeed have historically gone to great lengths to purify the inquiry of any “subjectivity” (Steier, 1990). In Transdisciplinary inquiry, since we start off with a way of thinking about inquiry that stresses passion, creativity, context and connection, the inquirer’s subjectivity is an inextricable part of the inquiry’s context and indeed not just deeply connected to, but constitutive of the inquirer’s construction and interpretation of the context. The inquirer’s own paradigmatic assumptions are surfaced and enter into a dialogue with a plurality of other assumptions from other perspectives, from other ways the subject has been addressed. Since the work is inquiry-driven and not only discipline-driven, the inquirer’s motivations are explored, assessed, and contextualized. One might ask oneself, why am I doing this? Not necessarily because it’s my advisor’s research agenda, for example. What do I bring to this subject, with my personal history, my academic trajectory? What are my biases, beliefs, blind spots? Every inquiry therefore becomes an opportunity for self-inquiry— indeed, self-inquiry becomes a necessary part of the research process. Another key question that arises with the introduction of the inquirer into the inquiry has to do with our fundamental assumptions about the nature of human nature. What is our understanding of human capacities? If every inquiry is, indeed, an opportunity for self-inquiry, what can we hope to achieve? What is the human capacity for transformation? A Freudian view of human nature, and of human change possibilities, is quite different from that offered by the work of humanistic psychologists such as Maslow, or even transpersonal psychologists (Montuori, Combs, & Richards, 2003). Once again, inquiry becomes an opportunity for self­contextualizing, self-inquiry, and also self-creation. Finally, given the explicit focus on the inquirer and his/her subjectivity, context, motivations, etc., transdisciplinarity demands an ongoing process of self-and-other­inquiry, inasmuch as the assumption is not that we are “discovering” “facts” about a world “out there,” but rather that there is a an ongoing inter-subjective co-evolutionary process of construction. Learning is not the acquisition of “things,” but an ongoing process of self-eco-re-organization (Montuori, 2003).5) Bateson stressed the importance of striking a balance between rigor and imagination. Whereas academia has focused on the context of justification (the development of a defensible “position”), it leaves the creative process leading up to the development of that position (the context of discovery) out of the picture. It is only in the biographies and autobiographies of scientists and other creative individuals that we get to see their creative process, with all its complexities, wrong turns, anxieties, imaginative twists, conflicts and collaborations. In the academic context, we largely get presentations, articles, and book, that stress the rock-solid defensibility of the position being presented. When not balanced by imagination, the quest for rigor leads to rigidity. I believe it is essential to re-introduce this creative dimension, this dimension of imagination into inquiry. Without this dimension, our very understanding of the nature and process of inquiry is deeply mutilated and anemic. And this is certainly not something that can be addressed by a course in “lateral thinking” (Montuori, 1998). The larger challenge is to envision inquiry as a process that navigates the twin requirements of rigor and imagination, in a way that the two contribute to each other and to inquiry, rather than schismogenically fly away from each other. The Journey Home I have briefly outlined some key aspects of what I believe to be a transdisciplinary approach, to some extent making explicit some of the characteristics that I see in Bateson’s work, and drawing also extensively on the work of Edgar Morin. A transdisciplinary approach is, at this point, an aspiration whose characteristics need to be more fully fleshed out. Bateson’s work pointed to a great need in our culture, and to a realm of possibilities for new forms of inquiry. And where did Bateson belong, then? I believe Bateson was a perpetual traveler, taking a meta- point of view on and across the nature of inquiry, and pointing in the direction of a different world, a world of creative, transdisciplinary inquiry that we can aspire to as a way of reconnecting fragmented and decontextualized knowledge. Indeed, it is arguably the knowledge and inquiry that Bateson critiqued that is truly homeless, deprived as it is of context and knower. References Barron, E (1995). No rootlessflower: Towards an ecology of creativity. Cresskill, NJ: Hampton Press. Bateson, G. (2000). Steps to an ecology of mind. Chicago: University of Chicago PressBateson, G. (2002). Mind and nature: A necessary unity. Cresskill, NJ: Hampton Press.Descartes, R. (1954). Philosophical writings. London: Open University Press.Fay, B. (1996). Contemporwy philosophy of social science. New York: Blackwell Publishers.Montuori, A. (1998). Creative inquiry: From instrumental knowing to love of knowledge. In J. Petrankar (Ed. ), Light of knowledge. Oakland, CA: Dharma Press.Montuori, A. (2003). The complexity of improvisation and the improvisation of complexity. Social science, art, and creativity. Human Relations, 56 (2), 237-255.Montuori, A., Combs, A., & Richards, R. (2003). Creativity, consciousness, and the direction for human development. In D. Loye, (Ed. ), The great adventure: Toward a fully human theory of evolution. Albany, NY: SUNY Press.Montuori, A. & Purser, R. (1995). Deconstructing the lone genius myth: Towards a contextual view of creativity. Journal of Humanistic Psychology, 35 (3), 69-112.Montuori, A. & Purser, R. (1999). Social creativity (Vol. 1). Cresskill, NJ: Hampton Press.Morin, E. (1984). Science avec conscience [Science with conscience]. Paris: Fayard. Morin, E. (1992). Method: Towards a study of humankind. The nature of nature. New York: Peter Lang. Morin, E. (1994). La complexité humaine. [Human complexity[. Paris: Flammarion. Morin, E. (2005). On complexity. Cresskill, NJ: Hampton Press.